The megaselling author (Gone Too Far, 2003) sends tough-talking SEALs from her Troubleshooters series to southern California for fun in the sun. The story begins, however, with an obligatory pit stop in a terrorist-ridden Third World country so that hero Cosmo Richter can rescue three caged nuns and do a little patriotic swashbuckling. 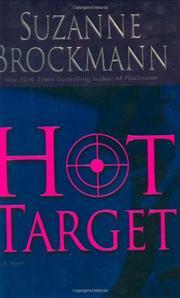 Then he takes a leave to moonlight for Troubleshooters Incorporated, which hires Cosmo to protect Jane Mercedes Chadwick. She’s an independent producer who’s received threatening e-mails from a right-wing, homophobic group that doesn’t like her next movie about a homosexual WWII hero. Her movie star brother Robin, a compulsive womanizer, will play the hero—no one will think he’s secretly gay. Enter gay FBI agent Jules Cassidy, also a continuing character from previous books, to help crack the case and explain hate crimes to Cosmo. (Brockmann, the proud mother of an openly gay son, misses no opportunity to wave the rainbow flag.) Looks like the brawny SEAL will have to protect Jane by (what else?) moving into her house and staying with her 24/7. Neo-alpha male Cosmo has a sensitive side: he confides in Jane, when not rippling his muscles and looking through the blinds for drive-by sharpshooters. Pretty soon the two are rolling around in bed. Then they lounge around the house some more, until Jane gets restless and heads for the Coast highway. The action heats up, sort of. Cosmo asks Jules for a list of all the people in the western US who own ancient white Pontiacs and dark Ford pickups with a “6” in the license number (see above: drive-by sharpshooters). Hey, Jules is on it—when not having heart-to-heart talks of his own with Robin Chadwick. The handsome actor has a favor to ask, oh-so-casually: he’s never kissed a man. Would Jules mind? Not at all. The kiss is intense. So is Robin gay? And will Cosmo save impetuous Jane? Not exactly nail-biting suspense, not quite a romance: crowded cast and competing plots don’t help.